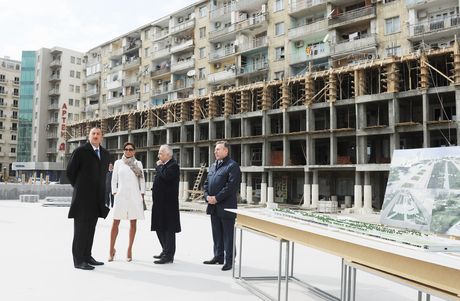 President of Azerbaijan Ilham Aliyev and his spouse Mehriban Aliyeva have today inspected construction work in an underground parking between Fuzuli and Mirzagha Aliyev streets, a park, a garden and fountain complex. 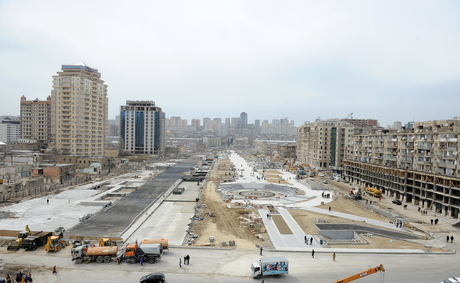 The underground parking is one of the biggest facilities in the world. 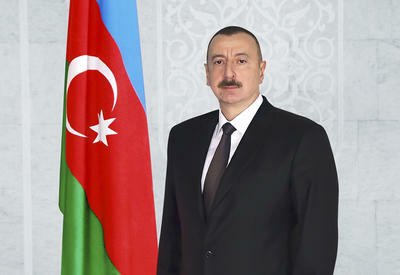 Baku Mayor Hajibala Abutalybov informed the Head of State about the project of the park complex. 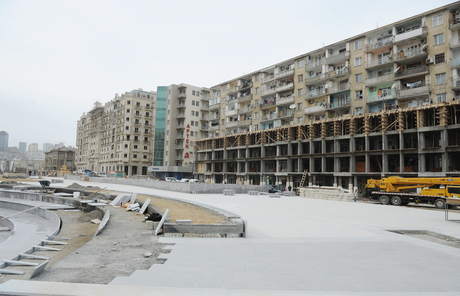 The park covers a total area of 7 hectares. 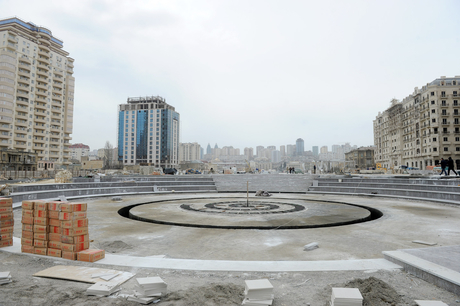 The park will have trees, flowers, five fountains, modern lighting system and three cafes.